It is my pleasure to welcome you to the website of the Department of Polymer Engineering (DPE) at The University of Akron (UA). DPE is part of the world-renowned College of Polymer Science and Polymer Engineering at UA...read more here. "When I was a chemical engineering undergraduate student seeking a summer research project, I found polymer materials very intriguing. I knew how plastics have drastically changed our lifestyle from the past, and that’s why in my future career I want to keep researching them to continue elevating our quality of life." "I ultimately chose The University of Akron because of the prestige of the polymer program and the ability to work in multi-disciplinary and collaborative environment." "I chose to come to the College of Polymer Science and Polymer Engineering at UA because I liked the idea of an entire college focused solely on studying and researching polymers, and UA has a globally recognized program dedicated to this goal." Learn why our students chose to study Polymer Engineering at UA. More information at: Prospective Students Webpage. 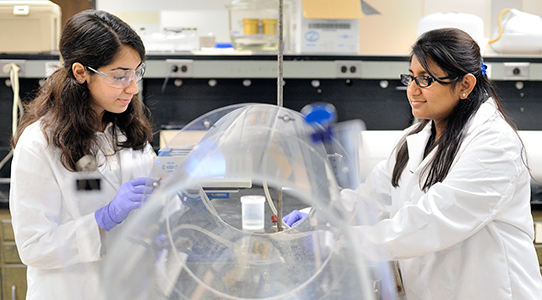 Summer research opportunities (REU) in polymers for current undergraduate students.